Allwell Solutions have experience to handle dynamics of digital publishing in ePDF/uPDF Creations. PDFs continue to hold their established place in the market. Many contentaggregators, digital libraries and search tool providers rely on some form of the ubiquitous PDF. ePub, has become the defensible standard for commercial eBooks directed at the growing audience of eReader, tablet and smartphone users. However, it is important to realize that this standard will continue to evolve with each new hardware and software innovation to hit the market. XML, the established mark-up language that drives so much information exchange on the web, beckons publishers with its adaptability, reliability and efficient tools for query, discoverability and database management. 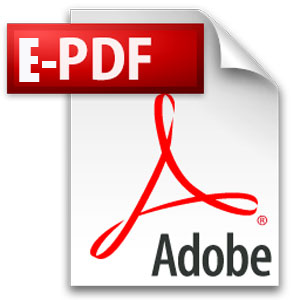 Electronic PDF Service enables business users to create unlimited electronic PDF (Portable Document Format) files online. Your business can now move complete paper-based form usage to your private cloud based venture electronic PDF. Universal PDF (uPDF) provides publishers with a productive and efficient method for reaching a wide variety of eBook channels, distributors, and markets. The uPDF allows publishers to create a single eBook file that is compatible with all of the leading digital library aggregators and system providers A one step production process yields a single, universally compatible PDF file.